Quick Per Gessle/Roxette update. Per, who performed in London last night, has announced that “Party Crasher” will see the light of day in the UK on June 15th. In an interesting development, the record won’t be released on EMI, but instead will be distributed by Sony. No sign of the record on Sony’s website yet, nor whether “Silly Really” will be released as a single prior to the full-length. 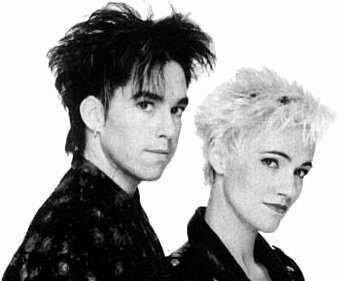 The news that might be bigger for many of you is that Roxette will be performing live together tonight in Amsterdam. Rumor has it that Marie has been declared healthy and ready to tour, and they will do so later this year, making up dates that the band had to cancel way back in 2002. Talk about devotion, eh? I am a musical sponge…this is a fact that I will never outrun as long as I live. Music is always somewhere in the mix, whether it’s finding new music online, playing in the background no matter what I’m doing, or running through my head when I’m not near a music source. So it’s inevitable that I occasionally stumble across new music in the most unusual places. Yesterday, I was driving home from the p/t retail job I picked up for the holidays, and I had my Sirius on. Their top 40 channel (“Hits 1”) has a show called “Hit-Bound” that plays a lot of interesting new music, and has been known to break music nationally (like Metro Station). They go a bit heavy on the pop/rock stuff, but a song came on that I’d never heard, and yet I knew the voice instantly, and I couldn’t believe I was hearing it on a U.S.-based radio station. 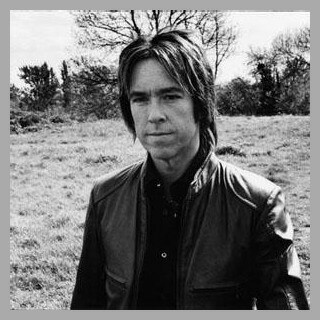 Does the name Per Gessle mean anything to you? It should if you weren’t locked up in a monastery from the late 80s to the mid 90s, because he was the male half of the duo known as Roxette. Based in Sweden, they conquered the pop charts with a fresh blast of sassy, if disjointed, lyrics, accompanied by a perfect mix of guitars and synths. But the band would have been nothing without the great back-and-forth vocal style that they developed, and the chemistry and camaraderie between them was unmistakable. So much so, several people I knew just assumed they were a married couple. When the hits dried up for Roxette in the mid 90s (the amazing “Spending My Time” only made it to #32), they faded into the memories of American consumers. However, several of their songs continue to get airplay in several formats, including their biggest hit “It Must Have Been Love”, from the “Pretty Woman” soundtrack. 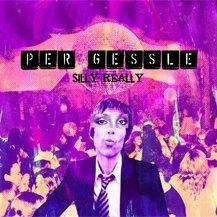 Fast forward to this past October, and Per releases “Silly Really” in his homeland of Sweden, where it promptly debuts at #1. Full-length CD is due out this coming week, and he’s doing the full-court press with the media to hype its release. Somehow, the single has found its way to America via Sirius, which has some pretty interesting parallels to their original hit “The Look”. Known as the “Dean Cushman story”, the band tells how this exchange student brought the track back from Sweden to Minneapolis, and convinced a top 40 station there to play it. The station started making copies for other stations, and EMI quickly rushed the single and LP into production, picking up a #1 single and a top 20 album in the process.